Conversations make a difference! As I make changes to the site, two things come to mind;-1) Do these changes work for the customer and 2nd, how do they fit into the overall workflow. What I did not expect way the challenge of adoption on my part! Case in point the chat feature, which works really well if I can recognize the notification sound. Meant to accommodate the natural process of a consumer entering an offline boutique and having direct access to an attendant; I find myself stammering at that process which I have executed a number of times in” real situations”! Back to the drawing board and seriously considering – “all the separate conversation taking place- or that needs to take Place”! Screen shot of transcript from the chat feature to the left, and bottom left of our page! 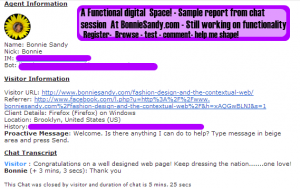 Instant communication with site visitors! 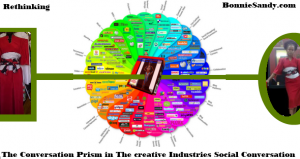 In prep, I headed to Brian Solis’s Conversation Prism. The question became “what conversations do I need to conduct or monitor?” A question we’ll tackle in an ongoing process in our forums! 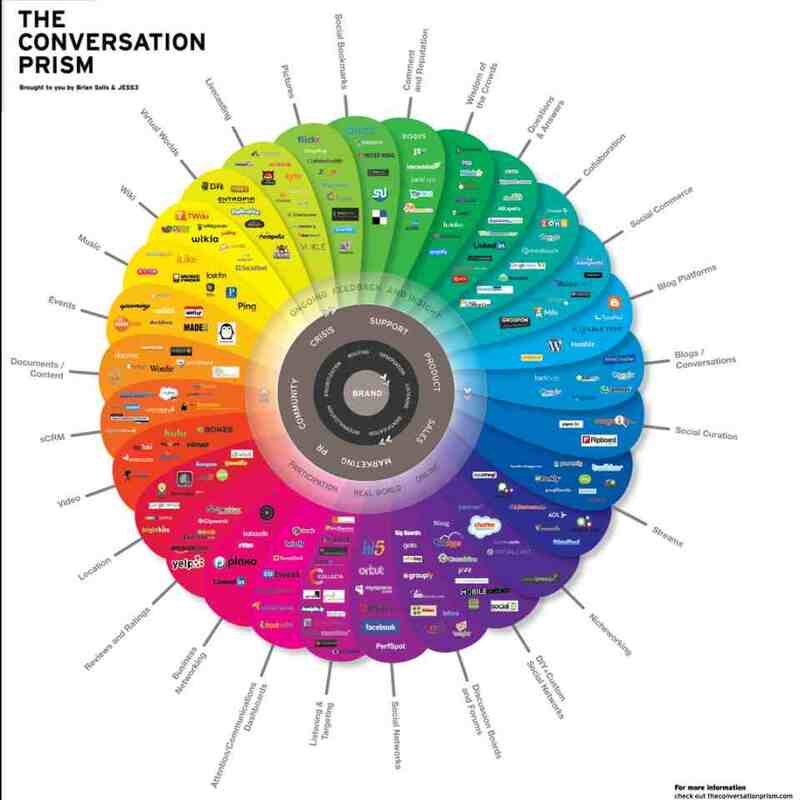 See, forum topic: What support mechanism are needed in a social commerce space – the Conversation Prism? I’ve also since started a “To-do list” based on my exploration! Now where does one store such a list in a virtual office/studio. Posted in Latest and tagged Digital Space, Latest, Social Commerce.